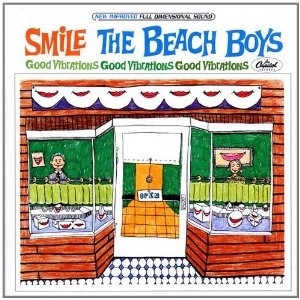 For Beach Boys fans, the Smile album has been well known and talked about as legend, but whose music was never issued or given the proper treatment for release. That was the case for 44 years until now with The Smile Sessions, which collects and arranges the innovative music that was abandoned from that era into one whole piece.Smile is a reflection of the vision and genius of both Brian Wilson and Van Dyke Parks in creating a work that is also very whimsical, eclectic and distinctly Americana, whether it’s the sound effects of “Barnyard” or “Vega-Tables”; the ornate instrumentation on the record is like listening to a music box with the multilayered signature Beach Boys harmonies. The two best-known tracks from the albums are “Heroes and Villains” and the immortal “Good Vibrations,” whose arrangement is no short of absolute brilliance, rivaling of the Beatles’ work during that time. In the context of how this music was made and its long journey to being realized, the release of Smile now in 2011 is truly historic.